The Arbuckle Family Blog: Why do old people move to Florida? Why do old people move to Florida? We are in Florida visiting my family for the holidays. 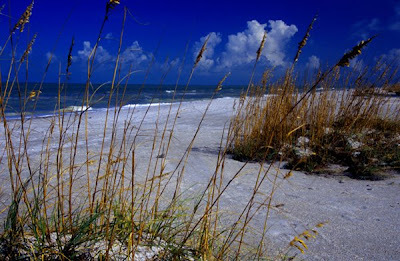 I found this picture of Indian Rocks Beach online. It does not do it justice. It is about 72 degrees, sunny and beautiful here. I have so many memories here on this beach. I think I spent most of my afternoons after school and on weekends laying out, playing volleyball, and hanging out with friends at this beach. I completely took it for granted when I was growing up, but oh how I miss it now. After leaving 19 degree weather in North Carolina. I now know why old people move here and retire here.